If you were ecstatic when rumours of an upcoming Zelda: Skyward Sword remake for the Nintendo Switch flooded the internet last week, we've got some bad news ... and you're probably going to want to make sure you're sitting down. Unfortunately, Nintendo in its infinite wisdom has extinguished any hope of seeing the Wii title repurposed for the latest home console. Zelda producer Eiji Aonuma sparked rumours that Nintendo was looking to remaster the critically-lauded Legend Of Zelda game for its latest-generation console when he mentioned the idea to fans during a recent concert of music from the series in Japan. "I know what you are thinking, Skyward Sword for Switch, right?," Aonuma announced on-stage. To which fans responded with rapturous applause. The idea of a Zelda: Skyward Sword port on the Nintendo Switch seems perfectly plausible. Nintendo has successfully mined its back catalogue for a number of popular titles to remaster and rerelease on its Switch, including Mario Kart 8, Donkey Kong Country: Tropical Freeze, and New Super Mario Bros. U. 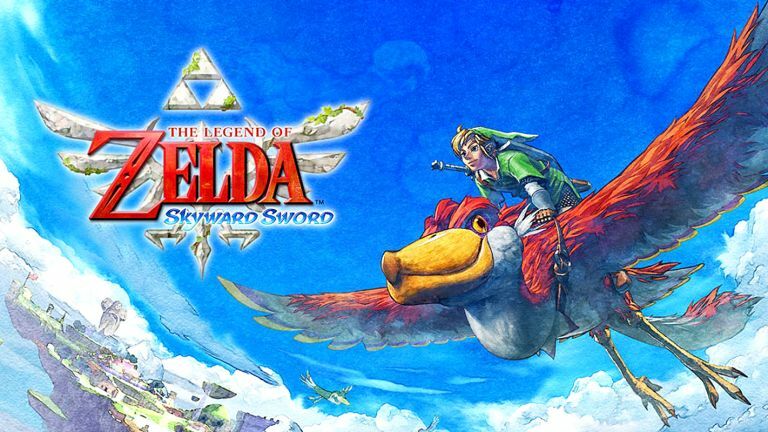 Also, Nintendo has already relaunched Zelda: Skyward Sword once before, bringing the title to the eStore as a digital download on the Wii U, the ill-fated successor to the hugely-successful Nintendo Wii, five years after its initial worldwide release. Unfortunately, despite the suggestion from Eiji Aonuma, it looks like Zelda: Skyward Sword is not getting a third outing on a Nintendo games console. The Japanese firm has resoundingly shutdown the rumours. "At this time we have no plans to release The Legend of Zelda: Skyward Sword on Nintendo Switch," a Nintendo spokesperson told Eurogamer. Yikes, that really doesn't leave a whole lot of wiggle room for a future backtrack. Fortunately, fans of the Legend Of Zelda will be overjoyed to learn that Nintendo is purportedly planning to launch a new title in the series each year. According to the latest whispers, spurred on by the success of Breath Of The Wild in 2017 and Hyrule Warriors: Definitive Edition earlier this year, Nintendo is looking to continue its run with a new Legend Of Zelda entry each year. This is a very similar approach to other wildly-popular video game series, such as Call Of Duty and Battlefield.